Visiting? Make Yourself at Home! The congregation of First Baptist Clemson is a diverse family of faith with a common purpose. Our mission is to seek to know God and God's ways, to follow Christ in all relationships and areas of life, and to serve others in the name of the Holy Spirit. Below you will find some Q&A's plus several links to information about our church. If you need more information, click here to email us or give us a call at 864-654-2347. First Baptist of Clemson has a warm, welcoming, and diverse membership. If you need to learn more about following Christ or if you are looking for a new church home, you are welcome here. Below are some frequently asked questions and answers which may be of interest to you. If you have additional questions, we would be happy to hear from you. A deacon on-call is published each week in the Sunday Worship Guide. The church is located at 397 College Avenue, Clemson, SC 29631.  Click here for Map. The office entrance and welcome center is located off Sloan Street and is adjacent to the City Parking Deck. Free parking is available in the City Parking Deck on weekends and evenings after 5pm. Parking is also available in the church parking lot behind the church and in various locations along College Avenue. Free parking is also arranged in the City Parking Deck for special events such as funerals and weddings. 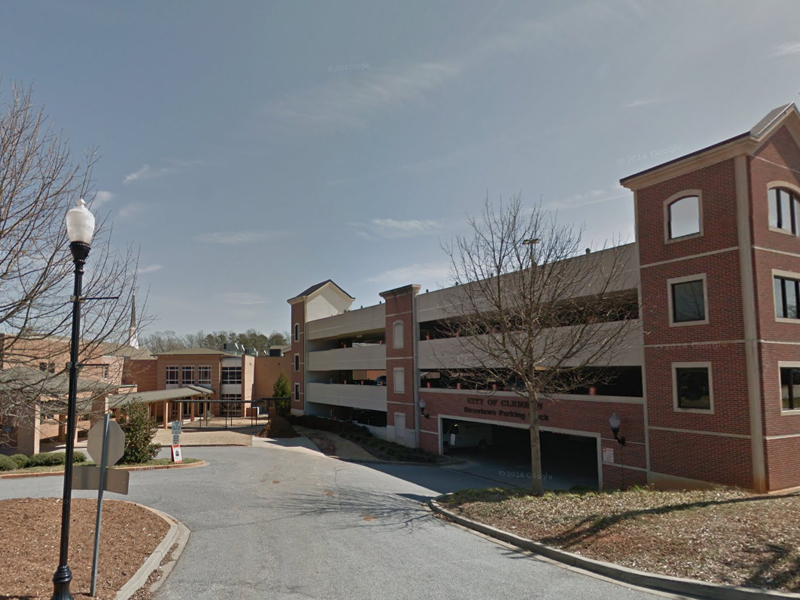 So you can find your way, click here to see how the back entrance and parking deck looks. A wide range of attire is satisfactory. One will find casual, bermuda shorts and suits in the same service. Is nursery available and if so, where is it located? Yes, nursery is available on the first floor in the education wing. Pagers are available for parents in case they are needed. Is there a weekday children's school? Yes, the Child Enrichment Center accommodates children from infant through four (4) year olds. To check availability email fbccec@gmail.com. Are young children welcome in worship? Certainly, if you prefer. There is also a Children's Church where children age 4 through second grade participate in a Children's Worship during the worship hour. What are Bible study opportunities for children? What are opportunities for college students? CSF [Cooperative Student Fellowship] is the College Ministry organization at First Baptist Clemson. Thursday evening gatherings include student-led worship, open discussion, and a [free] dinner as well. Also available are Bible studies, Sunday Morning Breakfast & Fellowship, missions, retreats and trips, socials, music opportunities, and monthly Sunday luncheons. While traditional, worship is vibrant with creative elements, spiritual depth, and an engaging preaching style. Music is led by various choirs, piano, organ, and the FBC Instrumental Ensemble (orchestral instruments). Communion by intinction (at front of church) is offered the first Sunday of each month and is offered to all who will receive Christ. Can I view worship online? Yes! We have an online worship ministry. You may view live streaming of worship each Sunday morning and also view past services. Click here to view worship online. How does one join First Baptist Clemson? Members are accepted from any of the following categories and can be received at any scheduled worship service: (1) Those professing faith in Christ and requesting baptism by immersion; (2) By transfer of letter from another church; (3) By statement of previous membership in another church providing membership in that church required profession of faith in Christ and some form of baptism. Certainly not; however, being a member affords certain beneficial connections to church life and affords a voice in governance through Ministry Teams and Councils. Deacons provide leadership for Family Ministry. We hope to see you soon at First Baptist of Clemson!